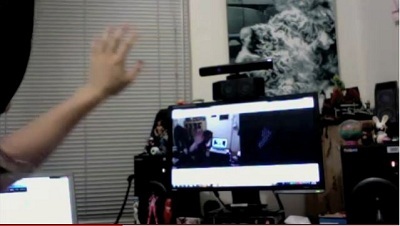 When Microsoft first announced the Kinect video controller for the XBox 360, we knew it was just a matter of time before someone figured out how to turn it into a video theremin. Well, thanks to YouTube user svenisnumb, the wait is over! Check out this video of the Kinect MIDI theremin prototype he recently "hacked up" using the C# programming language and the nui library.